Yes, your oily skin really needs oil! What we’re about to say may have you scratching your head, because it seems counterproductive. Your oily skin needs oil. Forget everything you have heard in the past about avoiding oil at all costs if your skin is oily. In fact, you may be doing your pores a major disservice by omitting oil from your skincare routine. For years, people have shunned oil and had a real fear of it, believing that adding oil to already oily skin would only make matters worse. The opposite is actually true. Oily skin is shiny and often looks greasy because there is so much excess sebum. It is more prone to acne breakouts, as it tends to be congested. Oily skin affects your makeup’s ability to stay put on the skin, and it even more negatively impacts self esteem. If you look at the skin care products marketed toward those with oily skin that have been around for years, you will notice something they all share in common: harsh and drying ingredients. If you have ever tried them, you will know that most of them end up making your oily skin look even worse. There is a reason for this. The harsh ingredients in traditional oily skin products strip away the skin’s natural oils. When this happens, your oil glands overcompensate and produce even more oil. In other words, by trying to eliminate oily skin, you are actually causing your pores to produce even more oil. 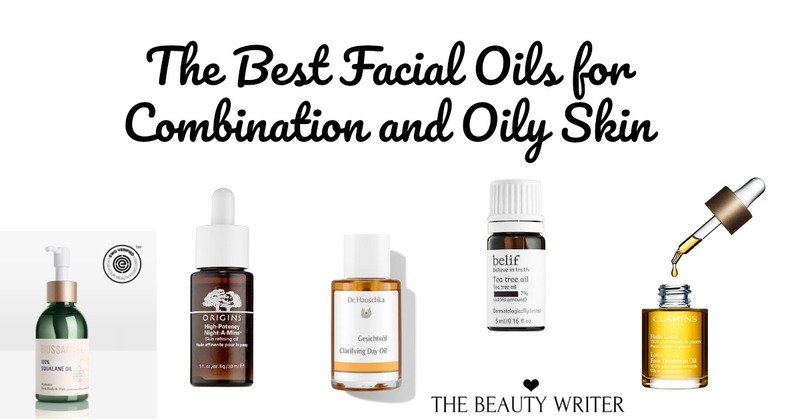 Research suggests that using face oils for oily skin may be the solution. Your oil glands will find balance with gentle, non-clogging oils. Many skincare oils contain antibacterial and anti-inflammatory ingredients to soothe and balance oily skin. The right plant-based oils will help to eliminate toxins and ingredients that increase the likelihood of skin congestion. Don’t be afraid of oil! It is just what your oily and combination skin craves! 1. 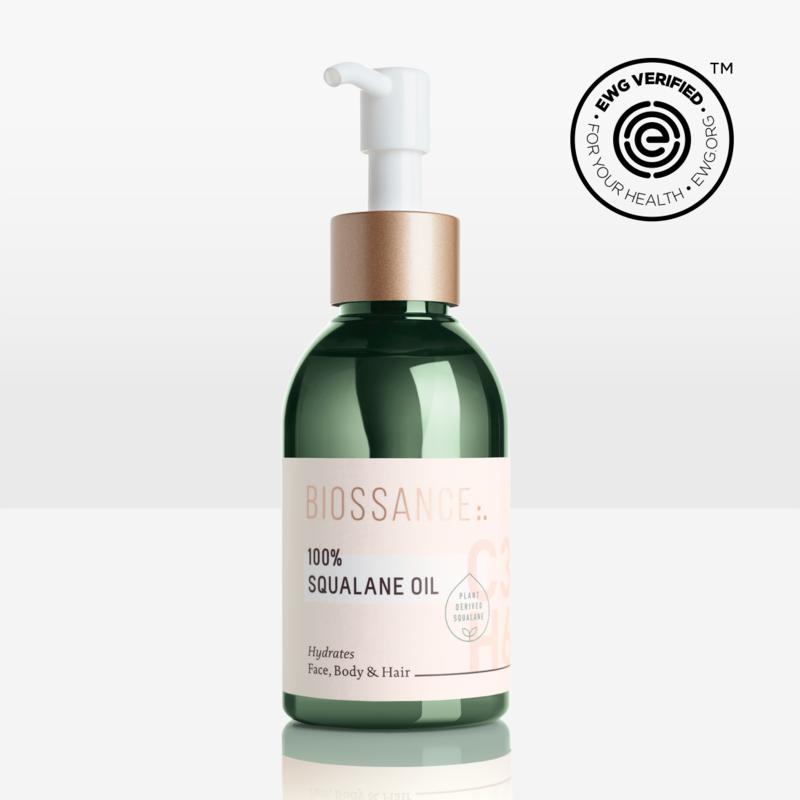 Biossance 100% Squalane Oil is just incredible. I have tried many "pure squalane" oils before and they are NOT created equal. This product from Biossance was formerly known as the Revitalizer. It is amazeballs. I absolutely love this oil. Why squalane? It is a very stable oil, which is essential. Unlike many other popular oils (even argan), it is a 100% saturated oil, so it is even more shelf stable than the good old standby coconut oil. It is ideal for those with an uneven skin tone, roughness, and acne scars from oily skin. It nourishes rough patches, making skin look smoother and softer without increasing sebum production. Note: Squalane is NOT the same as squalene, which should be avoided. 2. 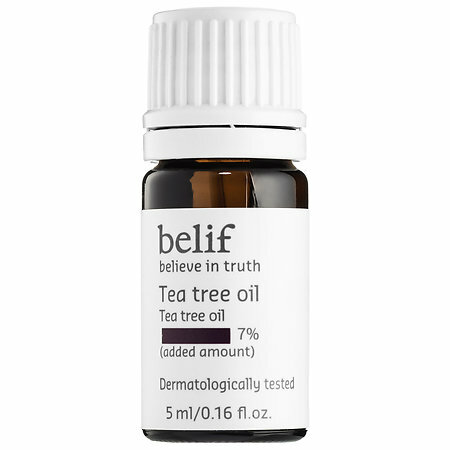 Belif Tea Tree Oil is best for those with oily skin who are trying to combat pimples. Tea tree oil is naturallly ant-bacterial. Plus, it is scientifically proven to work as well as harsh benzoyl peroxide, making it an excellent spot treatment. This product also adds in rosemary, chamomile, and lavender. 3. 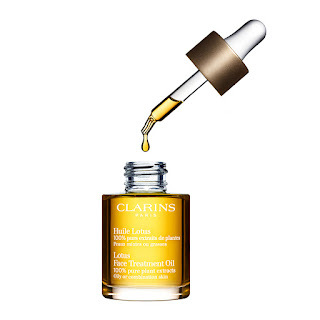 Clarins Lotus Face Treatment Oil is considered by many to be the gold standard, as it has been around for decades. I have used Clarins Lotus Oil for 20 years! It purifies, improves skin texture, and reduces the appearance of large pores without causing irritation. It is the perfect choice for those with oily skin that is beginning to exhibit the signs of aging. 4. Dr. Hauschka Clarifying Day Oil is just what your skin is begging for if it is irritated, red, and inflamed. Wheat germ and calendula help calm and soothe, while neem oil helps ease oil production without stripping natural emollients. 5. 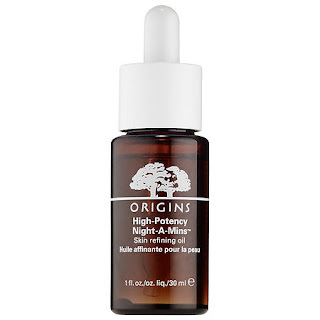 Are you looking for an overnight treatment to work its magic while you get your beauty sleep? Origins High-Potency Night-A-Mins Skin Refining Oil contains salicylic acid, which can penetrate the pores and help lift out bacteria. It also is rich in antioxidants to protect the skin from environmental contaminants. This is a great choice for combination skin prone to oily patches.